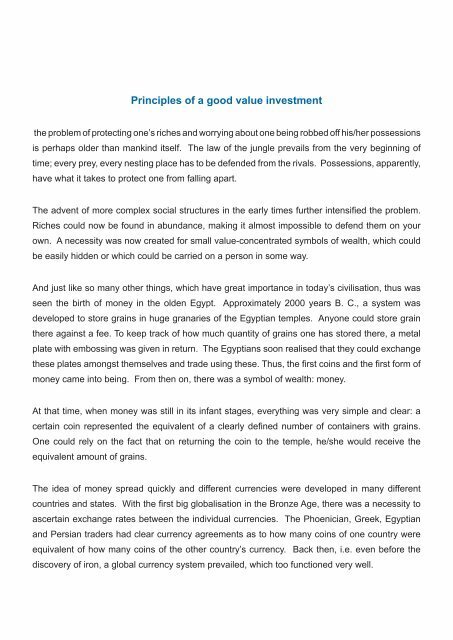 Principles of a good value investment the problem of protecting one’s riches and worrying about one being robbed off his/her possessions is perhaps older than mankind itself. The law of the jungle prevails from the very beginning of time; every prey, every nesting place has to be defended from the rivals. Possessions, apparently, have what it takes to protect one from falling apart. The advent of more complex social structures in the early times further intensified the problem. Riches could now be found in abundance, making it almost impossible to defend them on your own.  A necessity was now created for small value-concentrated symbols of wealth, which could be easily hidden or which could be carried on a person in some way. And just like so many other things, which have great importance in today’s civilisation, thus was seen the birth of money in the olden Egypt. Approximately 2000 years B. C., a system was developed to store grains in huge granaries of the Egyptian temples. Anyone could store grain there against a fee. To keep track of how much quantity of grains one has stored there, a metal plate with embossing was given in return. The Egyptians soon realised that they could exchange these plates amongst themselves and trade using these. Thus, the first coins and the first form of money came into being. From then on, there was a symbol of wealth: money. At that time, when money was still in its infant stages, everything was very simple and clear: a certain coin represented the equivalent of a clearly defined number of containers with grains. One could rely on the fact that on returning the coin to the temple, he/she would receive the equivalent amount of grains. The idea of money spread quickly and different currencies were developed in many different countries and states. With the first big globalisation in the Bronze Age, there was a necessity to ascertain exchange rates between the individual currencies. The Phoenician, Greek, Egyptian and Persian traders had clear currency agreements as to how many coins of one country were equivalent of how many coins of the other country’s currency. Back then, i.e. even before the discovery of iron, a global currency system prevailed, which too functioned very well.